Notwithstanding the modernization that the world undergoes daily, it remains nice to recall the proverbs that your ancestors used to live by. One of those famous sayings states that knowledge equates to power. Its exact origin is still debatable. Others claim it’s from an old Arabic book. Some believe it’s Francis Bacon’s – yet the effect is the same for everyone. Beyond the intellect, however, these words should motivate you to understand people better, especially the kids. It’s a lesser known truth that adults’ mental disorders may stem out of their undetected childhood illnesses. These usually start with a type of emotional disturbance, so it’s hard to dismiss the child’s tantrums or lack of interest to mingle with others. Find out the tips on how to handle it below. Some parents assume it’s easy to know whether the kid has emotional distress by reading web articles. While they contain science-backed facts, only a thin line often differentiates one mental disease from the other. Thus, it’s a struggle to identify the particular disorder he or she has without bringing them to the doctor. As the patient’s guardian, you need to understand what triggers the outbursts personally. A single cause does not fit all incidences that every child experiences, you see. It can be the noise, the clutter, or the number of people trying to greet them. Ask your kid about it so that you can help them next time. Regardless if the son/daughter is home-schooled or attends an actual institution, the instructions given to them should stay direct. You can use the teacher’s assistance at this point because they’ll take care of your kid when they’re at school. Inform them as much as possible too regarding what you understand about your child’s current condition to help them guide the youngster. Despite that, ensure that you look at all the kids equally. 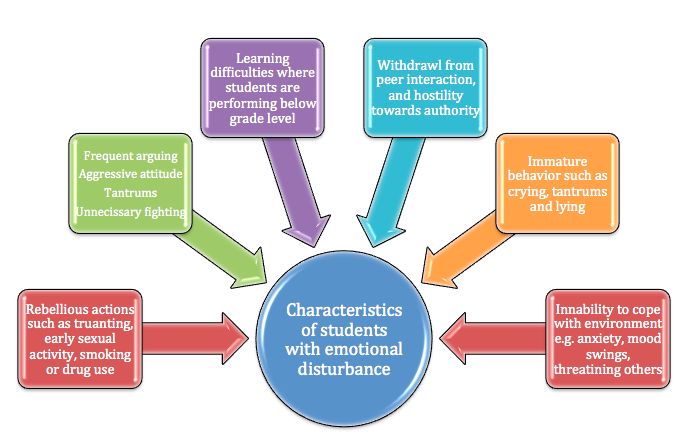 Giving the emotionally disturbed child leeway more often than not may not sit well with the other students and their parents. It won’t be beneficial for the patient either as they may assume later that it’s alright not to study because the teachers recognize their case. 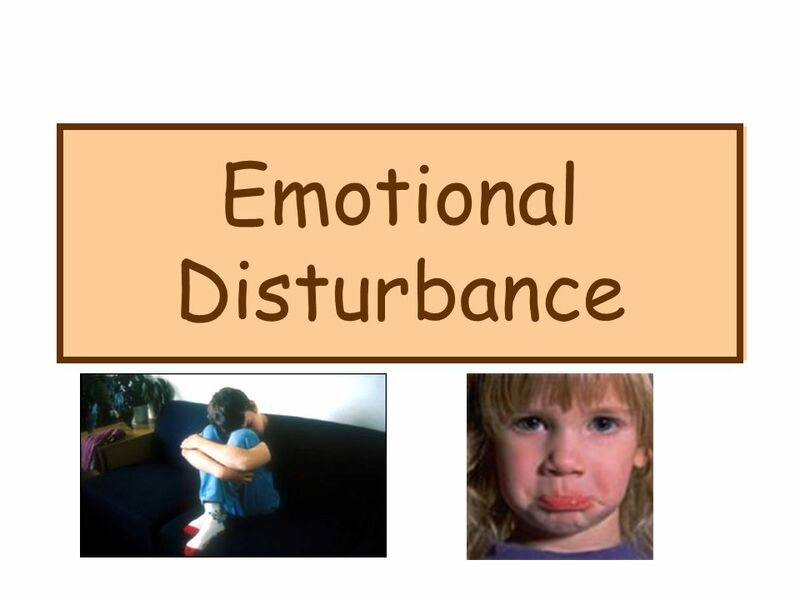 Children with emotional distress rarely understand what’s right and what’s wrongwith their actions. Since your goal as the overseeing adult is to provide fair treatment to everyone, of course, you may reprimand them if they’re mistaken. Now, for these kids to not think you’re mean, it’s important to celebrate even the little tasks they accomplish. It can be done at school or home so they’ll want to behave better. You have two objectives here: 1) to prevent confusing the child, and 2) to teach that they can’t have everything they want. They require such assistance from you since things may get messy if you refuse to let them have it all. 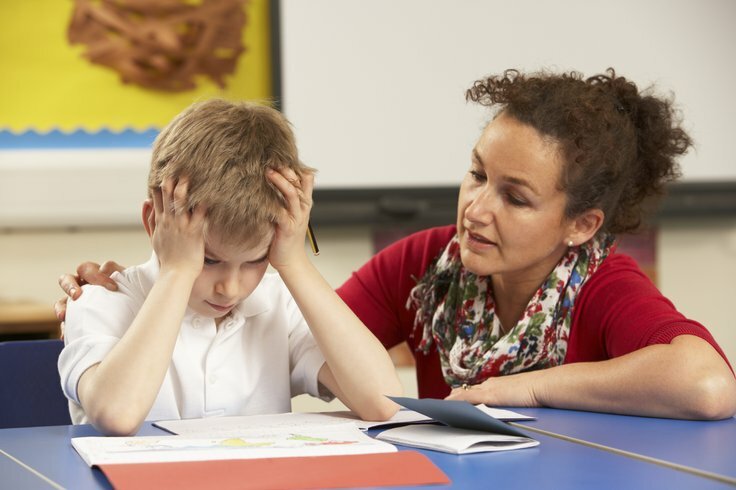 A slightly older kid who has emotional troubles may feel negative about their outbursts. For this reason, you need to soothe him or her each time and say that the disturbance won’t turn them into horrible people. Hopefully, these conversations will allow them to avoid developing a mental illness in the future.